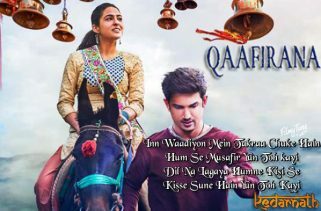 Chota Sa Fasana Lyrics is from the Bollywood Movie Karwaan. It is starring Irrfan Khan, Dulquer Salmaan and Mithila Palkar. Director of this film is Akarsh Khurana. The Expected release date of the Movie is 3rd August 2018. Arijit Singh is the Singer of this beautiful song. 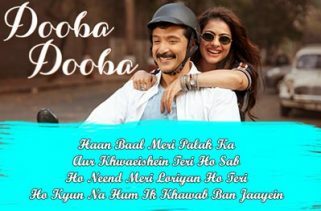 Chota Sa Fasana Lyrics are written by Akarsh Khurana. The Music is composed by Anurag Saikia. 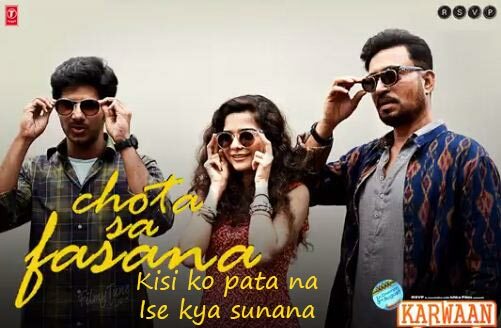 If you found any mistake in Chota Sa Fasana Lyrics – Karwaan Film. Kindly share your views in below comment box. We are trying to serve you better.